The new PDC darts season gets underway this weekend in Milton Keynes with the 2019 Darts Masters at The Marshall Arena. Last season’s winner – and indeed the winner of the previous four Masters events – Michael van Gerwen is once again the favourite. His main challenger, Gary Anderson, who is the only other player in the top half of the draw to make the quarter-finals at the Ally Pally, has withdrawn due to a back injury. However, 15 other big names from the PDC world will be on show, including Stephen Bunting, who replaces The Flying Scotsman. This year, Mighty Mike goes into the event as World Champion, having won at the Alexandra Palace back on New Year’s Day. His rivals will be all too aware of his preference for the Masters’ longer style format, with the first round being best of 19. It is also true that he always starts the season strong, having refreshed himself over the January break and it usually shows by the time the world’s best head to Milton Keynes. 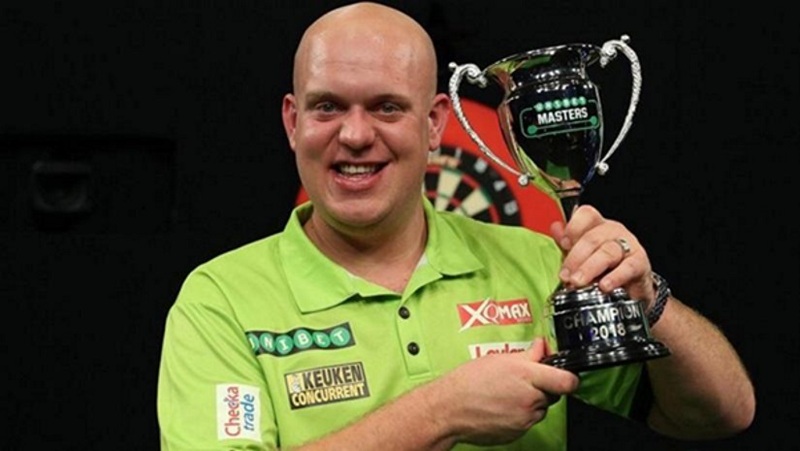 Indeed, in 11 of his last 12 Masters matches, MVG has posted averages of 100 or more. Mighty Mike opens up against sixteenth seed Jonny Clayton on Friday night. Welshman Clayton beat MVG in a Grand Slam of Darts group match last year and also came close in the quarter-finals. Given that match, who’s to say he’s not capable of winning here? Given his 125/1 price at Betway, he might be worth a small each way flutter. Also in the top half of the draw are Mensur Suljovic, who goes head to head with Simon Whitlock, Daryl Gurney will take on Dave Chisnall and Anderson’s stand-in, Stephen Bunting will face 13th seed Darren Webster. Daryl Gurney is another who knows what it takes to beat MVG, having done exactly that at the Players Championship Finals. A poor World Championship display should inspire him to show his best again, especially with the Premier League campaign coming up on the horizon. In the absence of Gary Anderson, Gurney and his opponent Dave Chisnall might both be looking ahead to the semi-finals already. In the bottom half of the draw, things are equally as competitive. Second seed Rob Cross begins his campaign as the solid favourite against Joe Cullen, while the ever (un)popular Gerwyn Price takes on the game’s other pantomime villain, one James ‘The Machine’ Wade. Sixth seed Michael ‘Bully Boy’ Smith faces Ian White in his opener, while Peter ‘Snakebite’ Wright will need to improve drastically if he is to make it past first-round opponent Adrian ‘Jackpot’ Lewis. Peter Wright is the biggest name in this side of the draw, having a great deal more to prove than most after suffering a horrible 2018. His season came to an abrupt end at The Ally Pally where he fell at the first hurdle to distant outsider, Spain’s Toni Alcinas. During 2018, Wright only collected three titles, pitiful given his standing as world number two for the majority of the year. The year came after a strong 2018 where Snakebite picked up eleven titles including the UK Open. However, last year he did reach the finals of both the World Grand Prix and Champions League Darts, so there were fleeting moments of hope for the Scotsman, including his impressive if unexcepted demolition of MVG in the semi-final of the Champions League. Wright has a tough start against two-time World Champion Adrian Lewis, who is slowly returning to form after a poor couple of seasons himself. Jackpot made the last 16 at the World Championships before coming up against MVG and could easily dismiss Peter Wright at the Darts Masters. Should Wright progress, he could face Ally Pally runner-up Michael Smith, who is now playing like an unofficial member of the top three, which is why his Betway price of 7/1 looks like a bargain worth taking. The St Helens thrower is second favourite ahead of Rob Cross, although he is outperforming Voltage massively as evidenced by his numerous ton plus averages at the World’s last month. Elsewhere, Gerwyn Price, who was hit with a £21,500 fine plus a suspended sentence for his behaviour during his Grand Slam of Darts match against Gary Anderson, takes on James Wade. The English darter will also feel the boos rain down on him following his horrible attitude against Seigo Asada in North London. While neither are fancied to walk away with the season’s first trophy on Sunday, this match will provide an early season indicator on who this year’s public enemy number one will be. The following OUTRIGHT victory prices are all available at Betway.